Because there are too many books in this world and not enough time to read all of them. October is a great month for mysteries and magic. Halloween is around the corner, so I want something a little devilish. 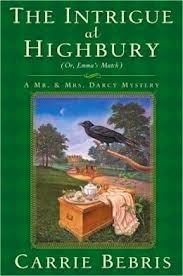 This month for the Pride and Prejudice Bicentennial Challenge I read Carrie Bebris’s The Intrigue at Highbury, which is actually the fifth book in the Mr. and Mrs. Darcy Mystery series. Although the Darcys allude to other mysteries and happenings in other books, I was not lost while making my way through this one. I wonder if someone who does not know Jane Austen’s original novels would be lost reading these books. Anywho, judgmental me was happily surprised to truly enjoy this mystery. Elizabeth and Darcy are travelling though Highbury, home of the Knightley’s, when a young girl waves them down on the highway. As Fitzwilliam Darcy is nothing if not a gentleman, he stops to help the lady. While their attention is diverted, however, the Darcy’s belongings are stolen from their carriage. In order to report the crime, they must find the village magistrate, none other than Emma’s Mr. Knightley. Emma and Mr. Knightley are having a terrible night already. Frank Churchill’s uncle died at the Knightley’s dinner party celebrating the newly wed Frank and Jane Churchill. The Knightleys invite the Darcys to stay while matters are taken care of. Soon the clues start blurring between the robbery and the murder and when riddles begin arriving for Mr. Knightley, Darcy and Elizabeth step in to help solve this mystery. I’m going to have to stop saying I don’t like mysteries because lately the mysteries I’ve read have made me want to keep reading this genre. The action kept moving forward in this book. We met new characters and had to rehash the past, but for the most part, new evidence and clues propelled the reader to continue reading. Also, to continue Emma’s obsession with match making, Miss Bates becomes Emma’s newest target after Mrs. Elton begins trying to set Miss Bates up with an ancient farmer. This plot line was an added bonus to the mystery story and I enjoyed hearing about Emma and her post-marriage habits. I enjoyed the characters from Emma and Pride and Prejudice mixing together. Emma is an Austen character that gets a bad rap. Although she is snobbish, jealous, and sometimes mean, she has a good heart and means well. In Highbury the audience sees a happily married Emma who is still sharp and wants to help those around her, even if it is obtrusive. I did not feel I got as much out of Elizabeth’s character in this book. She seemed to be in the background throughout the novel, but I did get a better glimpse of Darcy. Darcy is an intelligent, trustworthy investigator whose expertise helps Knightley in solving the crime. Darcy and Knightley also become fast friends, which made me happy. Darcy and Knightley are two of my favorite Austen characters. Bebris did a marvelous job using information from Emma and adding on to the back story of the Churchills. Although I was pretty sure I knew who the murderer was I still kept second guessing myself and wanting to read more. 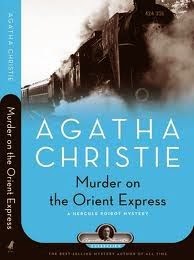 The mystery made me want to keep reading, but it was not my sole fascination with the novel. Bebris’s character development and the interactions between characters was what really drove me to read. I look forward to reading her other books in the Mr. & Mrs. Darcy series. I live for books, social interactions, and then running away from my friends and back to my books. Coffee, beer, and chocolate interspersed.